During this past week I was going through some slides that had been taken in the early 1960’s. One was of my mom and dad when they were living in Nigeria. 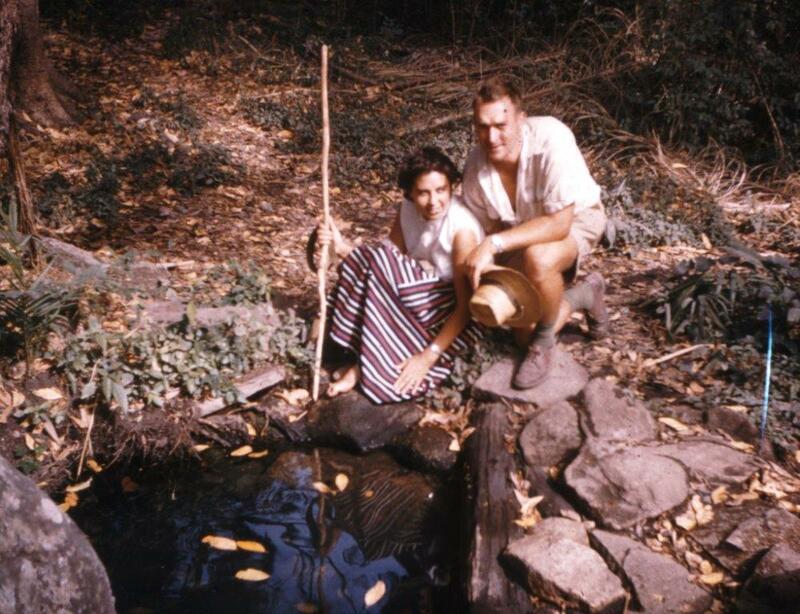 They had gone out there, from South Africa, to work as missionaries with the Sudan United Mission in the early 1960’s. In fact, I was born in Nigeria on a leprosy mission settlement. There is one slide that shows my mom sitting on the ground and my dad kneeling beside her and they look so happy and at peace with each other. There is another slide of our whole family that must have been taken when I was about three years old. As I studied our faces, it struck me how happy we all looked. Not just in a ‘smile for the camera’ kind of way, but genuinely happy. 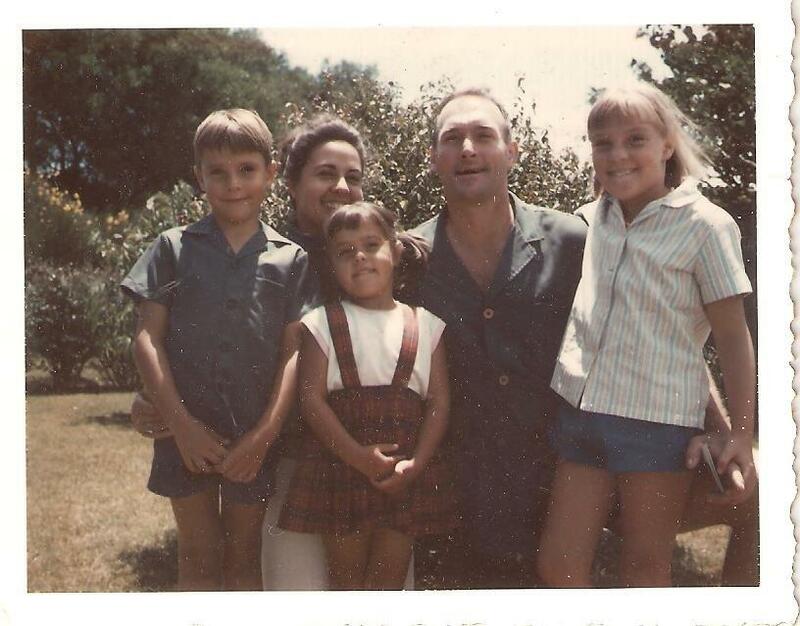 My mom and dad are kneeling behind us children, they have their arms around us and my mom is leaning towards my dad and we are all smiling. Ten years after this photograph was taken, they got divorced and our family was suddenly split into five separate individuals. We were no longer a ‘family’ as defined in the dictionary: “all the persons living together in one household who are related.” My brother and sister went to live elsewhere for a time, I was sent to a boarding school for a year and a half and my dad moved elsewhere. As I studied these two slides I kept asking myself ‘what happened?’ Here were two individuals who at one time loved each other enough to get married. They toured around Europe together on a motor bike, they went to Nigeria as missionaries, they loved and served the Lord and up until the day they got divorced we were still worshiping together as a family in church. My sister once came across a box that contained the most beautiful love letters from my mom to my dad. They were genuinely in love when they first got married. Why did this beautiful couple grow so far apart that their marriage ended in divorce? How could that happen? To this day my dad still struggles with that question! There was definitely no physical or mental abuse and no drug or alcohol problems—both my parents have attested to that over the years. And yet, after 25 years of marriage, of serving the Lord together, they got divorced! From what we have been able to gather they basically just grew apart from each. They started to develop their own individual interests and stopped communicating with each other—not in a nasty way, but purely out of a lack of interest. They didn’t even fight! How heartrendingly sad is that?! As married couples we have to guard our hearts. We have to watch over or shield our spouse from harm or danger. We have to protect our marriage vows. We need to “encourage one another and build each other up” (1 Thessalonians 5:11). We need to forgive each other; “A man’s wisdom gives him patience; it is to his glory to overlook an offense” (Proverbs 19:11). At all times in our marriage we need to be actively looking at how we can spur our partner on in their work, in their walk with the Lord, in their relationship with their children. We need to make a concerted effort to spend time together on our own. Time to talk, time to have a meal together, time to go for a walk together, time to hold hands. No other family members or friends present! We need to encourage each other. My parents subsequently remarried, my mom twice more. As a consequence we never ever spent a Christmas together again as a family, we never had both parents coming to a school event, and, believe me when I tell you, that planning a head table at a wedding reception is an exercise in absolute diplomacy when there are various ‘step-people’ involved. Additionally, our children have been left a legacy of ‘brokenness and being separated’ from their grand-parents due to the fact that said grand-parents have never socialized together again. Guard your heart in your marriage because that will determine what legacy you will leave your children and their children. This entry was posted in Divorce, Family, God, Marriage and tagged compromising, forgiveness, grace, Love, Relationships, unhappiness. Bookmark the permalink. 1 Response to WHAT LEGACY WILL YOU LEAVE BEHIND?